Millennium Square car park: using Sat Nav? Enter BS1 5LL as your destination. Click here to visit the Millennium Square car park website. 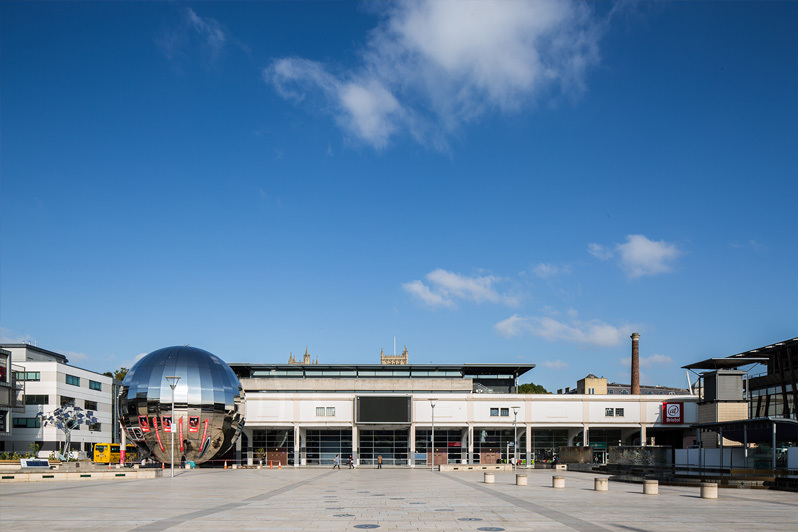 Millennium Square car park is a safe and secure 24hr car park adjacent to We The Curious. Named by the AA as one of the best places in the UK to park your car, it is an underground car park, open 24 hours a day with on site security. *After a 24 hour period the next daily tariff applies in the normal way. Please note: Motorcycles and Blue Badge holders are subject to the above rates. We have two electric vehicle charging points - find them on Level -1, in the Green Zone. The points are free to use on a first come first served basis, and are managed by Source West. For more information, please visit their website. Millennium Square car park has received the Park Mark® Award from the Association of Chief Police Officers in recognition of the spacious, well-lit design and its safe and hospitable environment. 24-hour on-site security and 48 CCTV cameras ensure the safety of yourself and your vehicle. Please be advised that parking in the city centre can be very busy.